William H. Hatchel, 88, of La Porte, passed away on Thursday, February 7, 2019 at his home with his loving family by his side. William was born in Huffman, AK on March 3, 1930 to Henry F. and Agness Dunn Hatchel. On November 3, 1990 in La Porte, he married Helen G. Shannon who survives. Also surviving are his step-son, Anthony Shannon of La Porte; grandchildren, Melissa Dunfee of La Porte, Cherish Osborne of La Porte, Joel Shannon of La Porte, and Gabriel Shannon of New Mexico; great-grandchild, Delaney Dunfee of La Porte, and Connor Shannon of La Porte. He was preceded in death by his parents; first wife, Francis Hatchel; step-daughter, Phyllis Lynn Lucas; 3 sisters; 2 brothers; and several nieces and nephews. 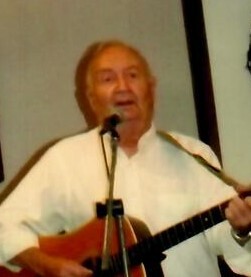 Bill was a member of Calvary Baptist Church and the American Legion #434. Bill retired from Sullair Corp. He will be remembered and loved by all who knew him. A Celebration of Life Service will be held at 1 PM on Tuesday, February 12, 2019 at Cutler Funeral Home and Cremation Center with Pastor Southwood officiating. A time of visitation will be held from 10 AM until the time of the service on Tuesday at the funeral home. Interment will take place at Pine Lake Cemetery following the service. Memorial contributions may be directed to the American Cancer Society, 130 Red Coach Dr., Mishawaka, IN 46545.